Wintergreen grass is characterised by a dark, fine leaf, and is the most popular hybrid Couch in the local region. Once established, Wintergreen will come back even if it is not watered during summer. Thickness is 18mm. The variety is also ideal for soil stabilisation areas, roadsides, urban in-fill areas or where hard wearing or close mowing is required. With its low maintenance qualities, it is also great for Perth rental properties and homes. A roll of Wintergreen grass is 18mm thick and there are several tools and machines available which can assist in achieving the perfect finish. A motorised disk roller is ideal for effectively installing runners or shredders and is essential for planting large lawn and turf areas. Motorised disk rollers are limited in availability from Perth hire places as they are an exclusive and specialised type of equipment. We offer great rates on hiring motorised disk rollers. A twenty inch plate compactor is available from most Perth hire places and is useful to ensure the turf is properly adhered to the ground. Our lawn and turf experts recommend this method for 40 metres of lawn or more, within 20 hours of laying the lawn. A serrated bread knife is a trick of the trade to easily cut the lawn around sprinkles and other obstacles, as well as being a much better tool to handle effectively. Wintergreen grass should be mowed every 10-14 days at a height of approximately 8-12mm during summer. In winter, mow every 3-5 weeks and raise the mowing height to approximately 12-16mm. It is good to ensure all lawns are fertilised going into winter, as well as ensuring the lawn is watered regularly for the best results. 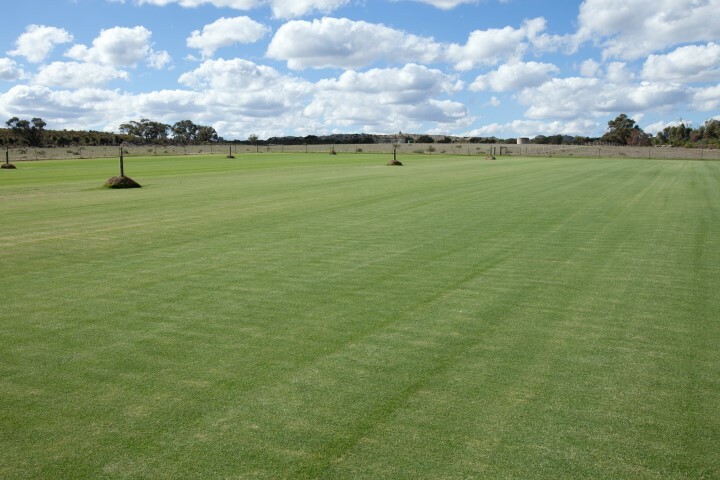 Contact our friendly team on 0407 804 888 for advice on which grass variety is suitable for your application.